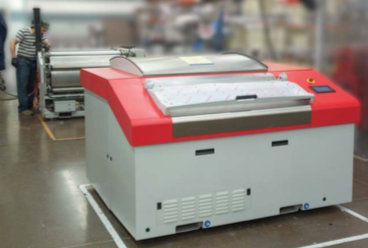 An existing, long term partner of PEKO was looking to make significant upgrades to their current print industry product, as well as utilize PEKO’s production manufacturing capabilities. This global chemical company needed to leverage PEKO’s broad spectrum of capabilities to allow for a seamless transition of production, while simultaneously improving their product. In addition to enhancements to the current platform, there was a desire to provide larger capacity versions of the product. The initial task was to optimize and improve the current product offering. PEKO tackled the problem by understanding the chemistry of the product and the critical parameters of the process. PEKO engineers and PhD’s collaborated with the customer’s team of scientists to maximize performance of the equipment. The result was an improved design impacting the unit’s rigidity, service access, manufacturability, and reliability. These learnings, combined with continued experience with the equipment and process, led to the development of the next generation, larger platform. This next gen machine allowed for new manufacturing techniques and processing technology to further improve our customer’s industry leading product. Due to the tremendous success and the advancements within these 2 product offerings, an additional, even larger platform was developed at PEKO. This entire family of processing equipment are completely produced & tested at PEKO and shipped direct to the end user. PEKO’s combination of world class manufacturing and engineering allowed for continuous improvements to be implemented on each of the product platforms. The constant technical advancements where successfully passed from engineering concepts, to assembly floor production and eventually showcased at multiple DRUPA print shows. PEKO continues to support this equipment and develop further improvements which allow our customer to sell their consumables to businesses running these processing machines. 6-12 Month Development, per Gen.